As expected, the first chance a Democratic senator got to grill Supreme Court nominee Brett Kavanaugh about his questionable record on executive privilege, she took it. Sen. Dianne Feinstein (D-CA) used her time at Wednesday's confirmation hearing to ask Kavanaugh about his thoughts on criminal investigations into sitting presidents, because his opinion has seemingly changed over the years. When Kavanaugh served on Ken Starr's investigation about President Bill Clinton in 1998, he was pretty adamant and aggressive about getting answers about Clinton's conduct. Yet, Feinstein noted, he has since softened his stance, writing during the George W. Bush years that a sitting president should not be the subject of criminal investigations until after he or she leaves office. Feinstein also presented the nominee with one of his old quotes about Richard Nixon vs. United States, where he appeared to question the ruling by wondering if it had been an "erroneous decision." Feinstein asked why he had changed his stance about executive privilege. The executive branch, Kavanaugh said, is subject to the law. But, a president should be shielded from criminal investigations while in office. What changed his mind on this issue, Kavanaugh explained, was September 11. "Seeing President Bush when he came into the Oval Office on September 12, 2001 in the morning," Kavanaugh reflected. "President Bush said this will not happen again. He was of single minded focus every morning for the next seven years." 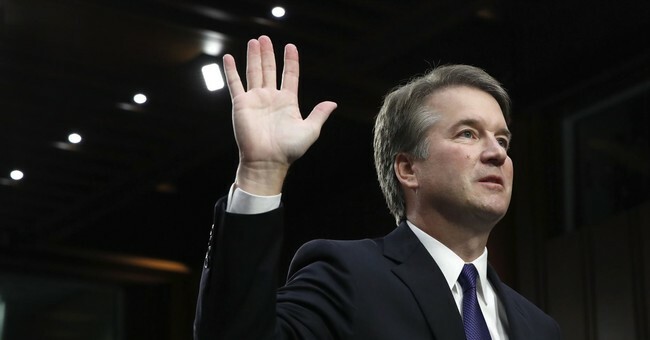 After the terror attacks, Kavanaugh "thought very deeply" about the presidency and the independent counsel experience and how those things interact. Yet, Kavanaugh went on to explain that if an investigation was related to a constitutional principle, he would have an "open mind." Kavanaugh also noted that his quote about Nixon vs. United States was taken out of context. Further review of his writings shows that he has called that court case one of the four most important moments in judicial history, putting it in the same category as Brown vs. Board of Education. He believes it was rightly decided because "the Court stood up for judicial independence in a moment of national crisis." Feinstein also asked Kavanaugh repeatedly whether he believes a president should be required to respond to a subpoena. Each of the eight justices currently sitting on the Supreme Court declined to decide hypotheticals themselves when they were in the confirmation hot seat, he pointed out. Democrats are adamant about getting Kavanaugh's view on executive privilege because they want Trump to be held accountable during the special counsel investigation into Russian collusion.